According to PM Modi, Kartarpur is in Pakistan today because then Congress leaders had no idea about the importance of Guru Nanak Dev. 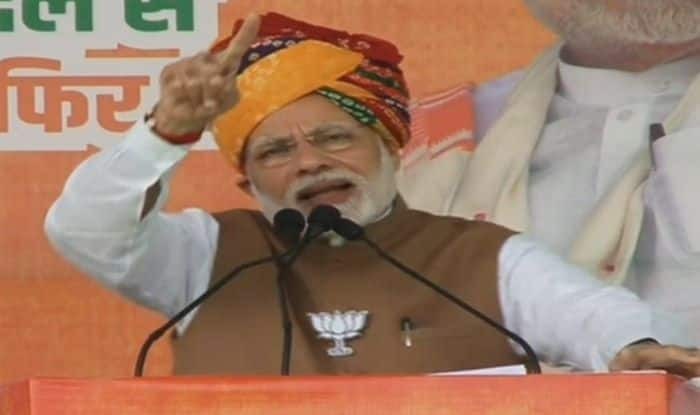 Jaipur: Prime Minister Narendra Modi on Tuesday used the Kartarpur Corridor linking Pakistan to India to hit out at the Congress and said the party will have to answer why this was not done 70 years ago. Addressing an election rally in Hanumangarh ahead of the elections in the state on December 7, he said Kartarpur went to Pakistan due to the lack of vision and sensitivity of then Congress leaders. According to PM Modi, Kartarpur is in Pakistan today because then Congress leaders had no idea about the importance of Guru Nanak Dev and had no respect for Sikh sentiments. Focusing on farmers and their problems, he said his government wants to make farmers “energy givers” and asked them to install solar panels, use drip irrigation and other modern methods of farming.